Throughout Jesus' lifetime, Palestine was occupied by the Roman Empire. Order was kept in groups of one hundred soldiers, by officers called centurions. 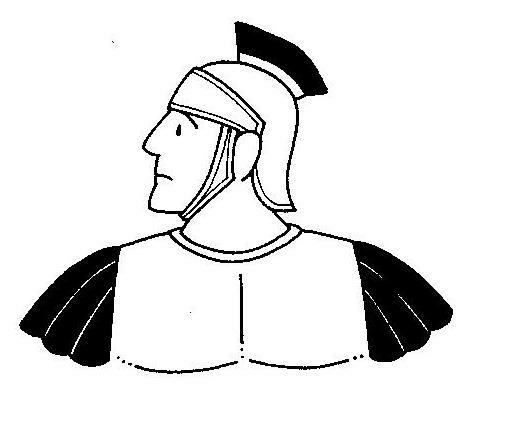 The centurions often kept that name as they were promoted higher and higher in the military - or they could also be naval officers. Centurions had to be able to read and write. 1. Who did the officer ask for help? 2. What did the Jewish leaders say about the officer? 3. What did the officer tell the leaders to say to Jesus? 4. What did Jesus say about the officer?